alidiza: It's All About Me! 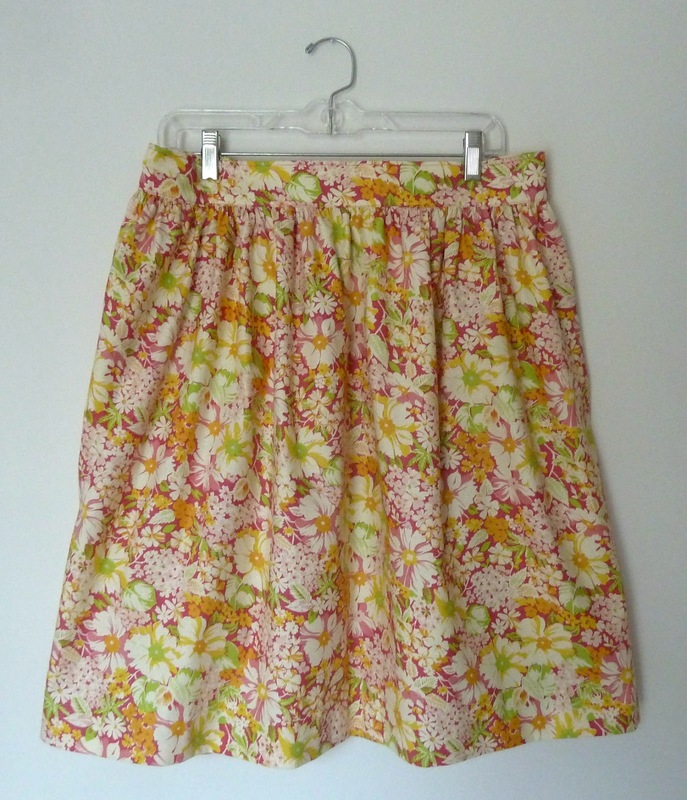 Luckily, the skirt went together seamlessly;-) Other than my complete inability to understand how she did the waistband it was easy to whip together and the sizing was perfect. 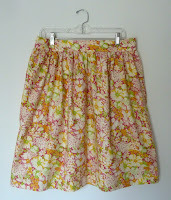 Did I mention it has pockets - love it!!! Since it was practice anyway I tried a few new skills... I took a page from Lilly's book and used this perfectly matched lace hem tape that I scored at Marden's last summer. I love how professional it looks and it's so easy I'm finishing all my hems this way from now on. With a few lessons learned I dove into my second one with the border print. 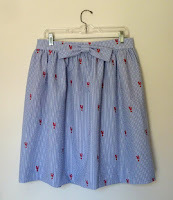 I went with french seams and divided the waistband into 2 pieces and then used the same technique as in the Everyday skirt. I made this one a little less full, and a bit shorter. And because I couldn't resist this seersucker lobster print I had to make one more... yes, with bow:-) Shameless knock-off credit goes to Smitten by January Hart... I LOVE her style! In my original plan for the week I was also going to knock out some pjs and a couple of Washi dresses but I realized I really don't enjoy making clothes as much as I enjoying making quilts so I'm taking a break and letting my pin pricked body heal. 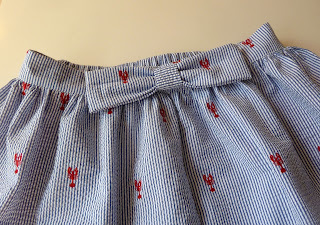 Next week is going to be all about quilting but hopefully before summer arrives I'll add a few more handmade items to my closet. I'm off to an excellent start! 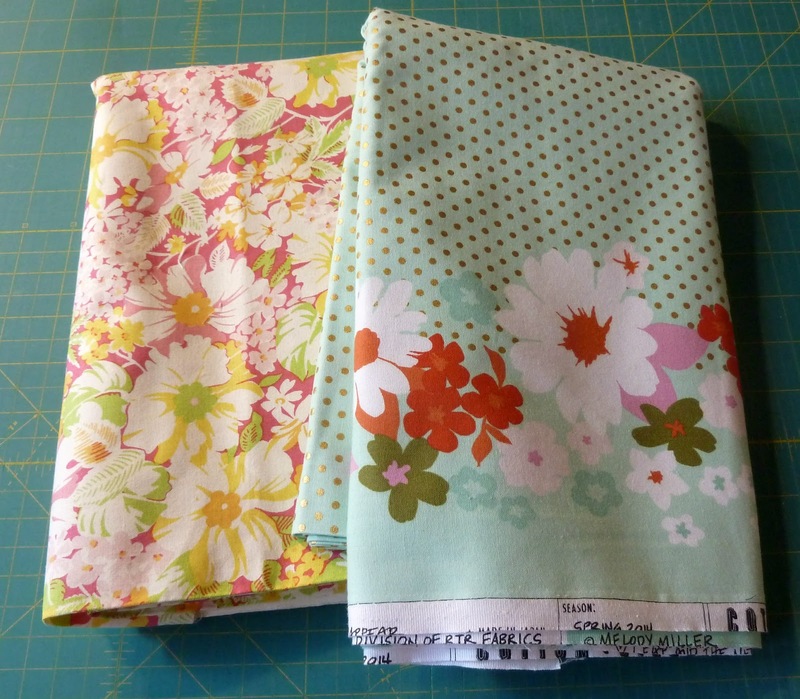 Also making an appearance at this week's Finish it Up Friday by Crazy Mom Quilts. So so cute! 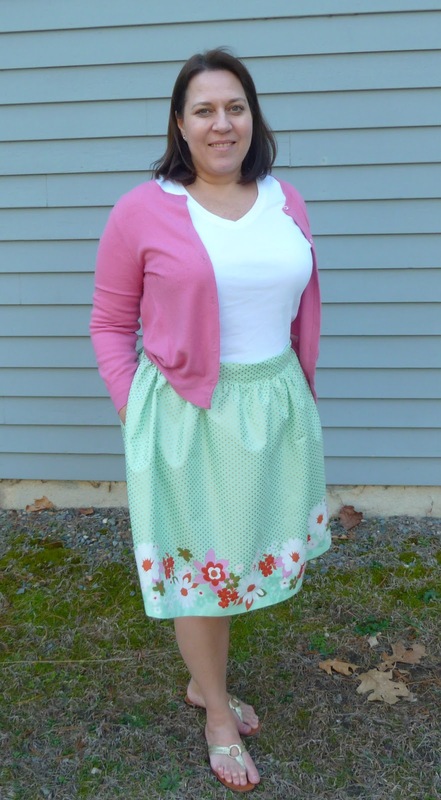 I am now going to look for a pattern and maybe make myself one!!! Beautiful! 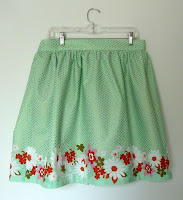 I am ready to sew skirts for summer but Spring is still pretending to be Winter and I am unmotivated...LOL! 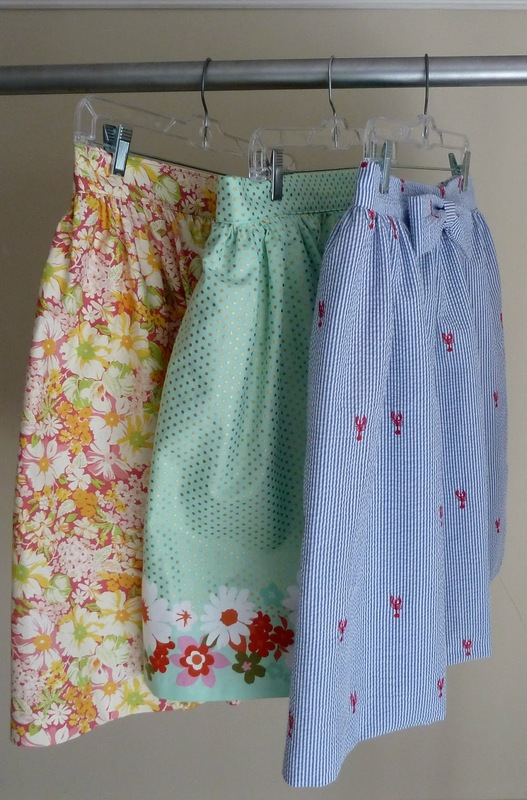 You have been busy - three pretty skirts all finished. 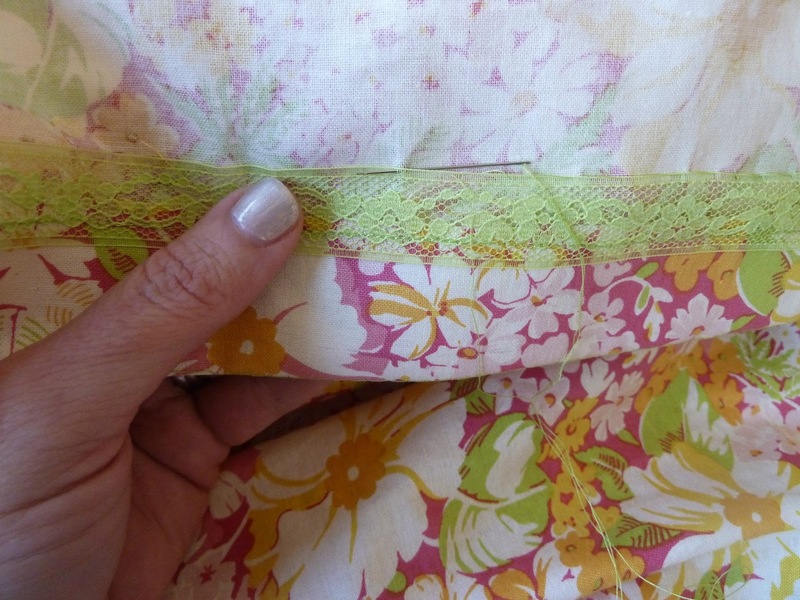 Must admit that I have never come across the lace hem before though. Must check that out on the internet. 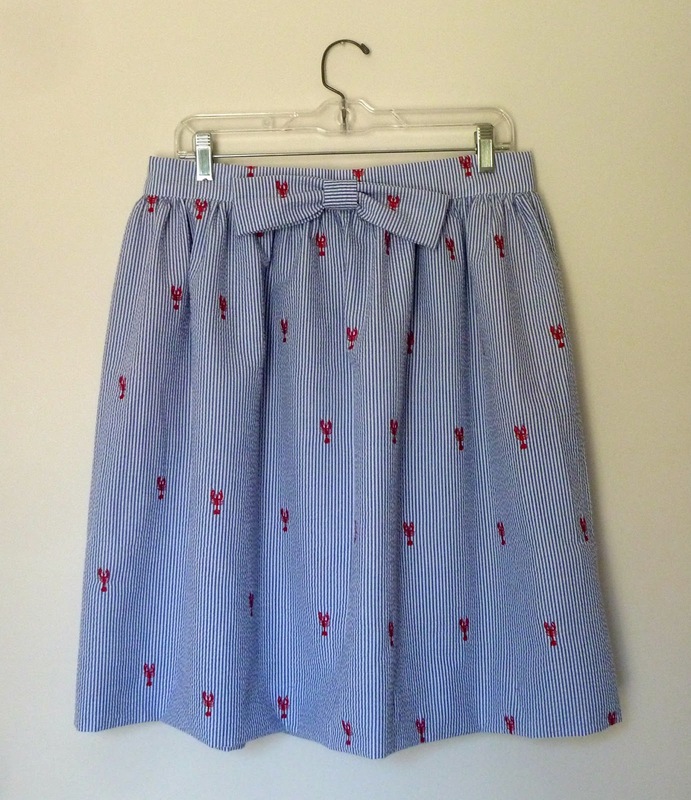 Super cute skirts, it's fun to sew for ourselves. You are so talented! Love those skirts! Lilly would be very impressed!